Wade Nygaard holds off Austin Pierce for his 250th career victory. Nygaard (#9) edges out Pierce (#2) at the line at Devils Lake Speedway. Photo by Mike Spieker. DOYON, ND (May 30) - An outstanding field of 30 NOSA Sprint Cars checked in at Devils Lake Speedway for the series' 26th appearance at the high-banked quarter-mile. The NOSA Sprints take on two high-banked bullrings this coming weekend. 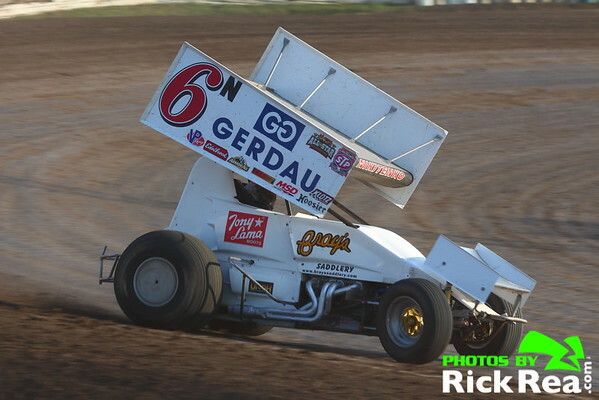 Greg Nikitenko riding the cushion in his #6N NOSA Sprint Car at River Cities Speedway. Photo by Rick Rea. GRAND FORKS, ND (May 28) - The Northern Outlaw Sprint Association returns to action this weekend with its second consecutive double-header. Nygaard top 27 car field for BRRP victory. Wade Nygaard in victory lane at Buffalo River Race Park with his pit crew. Photo by Mike Spieker. 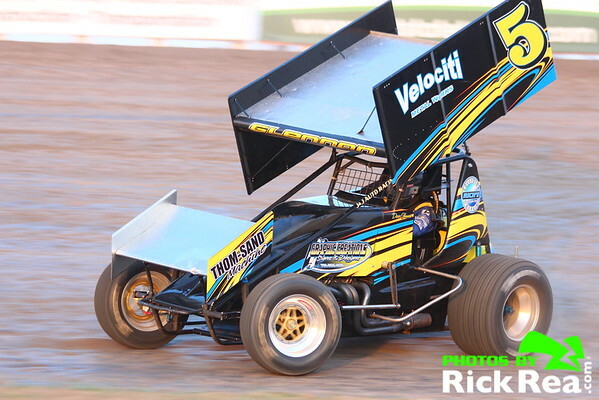 Glyndon, MN (May 24) - The Northern Outlaw Sprint Association made it's third-ever appearance at Buffalo River Race Park Sunday night with 27 Outlaw Sprints signed in to try to tame the tricky quarter-mile. First Double Header Weekend for the NOSA Outlaw Sprint Cars. NOSA Rookie of the Year Candidate, Jack Croaker, turning some hot laps at the BRRP Test N Tune. Photo by Mike Spieker. 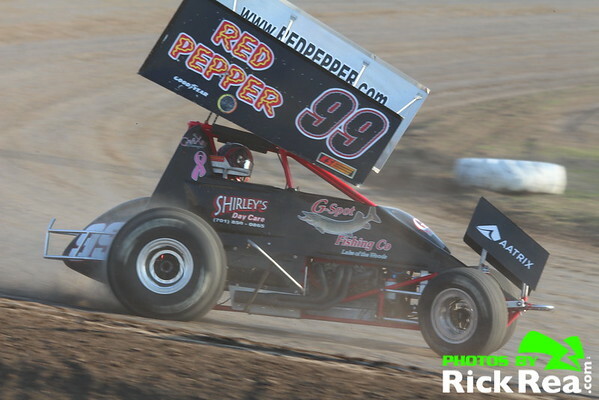 By Mike Spieker (May 22) - The Northern Outlaw Sprint Association will see its first multi-race weekend of the season. Dobmeier holds off Zomer in "The Border Battle (Part 2)"
Mark Dobmeier parked in RydellCars.com Victory Lane with wife, Jacque, and two boys. Photo byMike Spieker. GRAND FORKS, ND (May 15) - Track conditions Friday night at River Cities Speedway were less than ideal, to put it kindly, but a lot of credit needs to be given to the RCS track crew for allowing racing to be held as scheduled after a very damp week. A rough track combined with a River Cities Speedway record number of Sprint Cars for a weekly show resulted in a flip count of five when everything was a said and done. GRAND FORKS, ND (May 1) - Wade Nygaard picked up his 51st career Northern Outlaw Sprint Association victory Friday night at River Cities Speedway. Nygaard slipped by Mark Dobmeier with five laps remaining when Dobmeier hooked a rut in turn one and bicycled up the track. Nygaard went flying by on the outside as Lou Kennedy Jr. harassed Dobmeier for the second spot.